I'm on day 27 of a 29 day cycle. 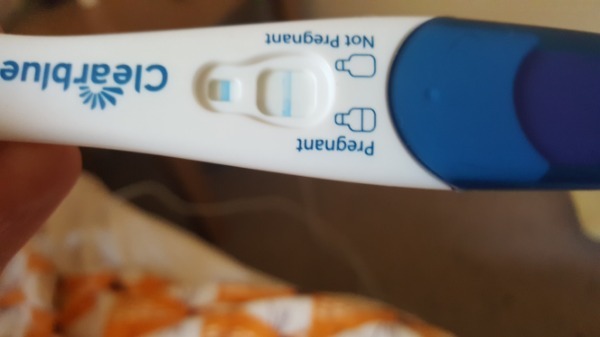 I just bought a new pack of clear blue ovulation sticks and i thought I would take one just for the hell of it thinking it would come back with a empty circle but it came back with a peak fertility solid emily face. So does this mean I am ovulating late this month or could I be pregnant. But then again you could be ovulating late for get baby dancing just incase! Haha we did just to make sure. Lol. Tomorrow is d day for Af so fingers crossed.